Last year, we named Taika Waititi’s What We Do In The Shadows as one of the best genre films of the year. It’s the mockumentary story of a group of vampires who live together. Now, not only do we have some more concrete news of a sequel, we know its title. Speaking to Crave Online, Waititi revealed it’ll be called We’re Wolves. As in “We are wolves” as well as “Werewolves.” Previous news suggested the film would focus on the group of rival werewolves in the original film, so this seems like a confirmation. Here’s the clip to refresh your memory. As for when we’ll see We’re Wolves, it won’t be for a while. Waititi is currently at Sundance promoting his latest comedy, Hunt For the Wilderpeople, and after that will be making a little movie called Thor: Ragnarok. That’s already slotted for a November 3, 2017 release so he has to make that first, and then will work on We’re Wolves. 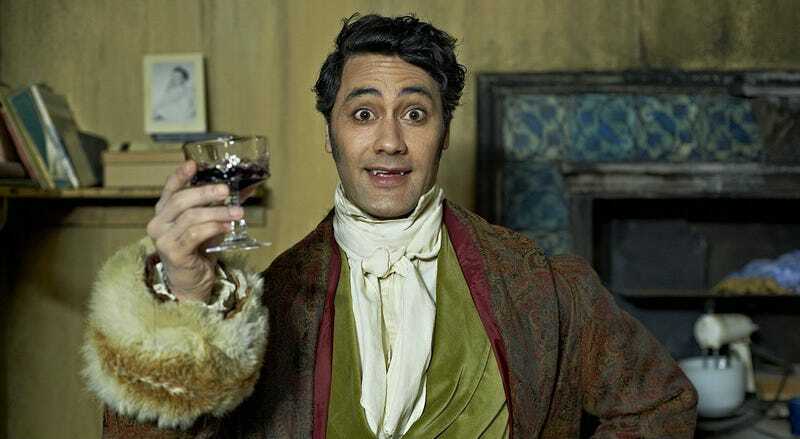 Waititi and What We Do In The Shadows co-star and co-writer Jemaine Clement are in the process of crafting the story of We’re Wolves—so filming a Marvel movie in the meantime seems like the perfect way to spend two years.